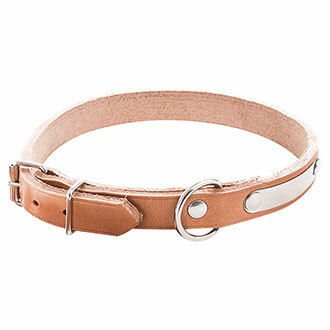 Natural leather collar cut dog franc. Collier cut franc, unlined with plate. Full premium leather flower. Thickness 1.5 mm to 3.3 mm depending on size. 100% natural - vegetable tanned in France. Flexibility of the collar. Riveted joint. Metal buckles. Made in France.